Vikings have a reputation of having been bloodthirsty explorers who took to the high seas in search of countries to invade. Rarely do we see Viking warriors in movies and television without layers of fur and iron armor, because it’s also been long assumed that Vikings originated from a cold and forbidding Norse climate. Separating fact from fiction when it comes to the legendary Vikings is challenging, especially when you start to delve in records of Viking conquests. However, a new study has found that Viking settlements in Greenland were likely much warmer than previously realized and perhaps the familiar picture of the fur-clad Viking is inaccurate. 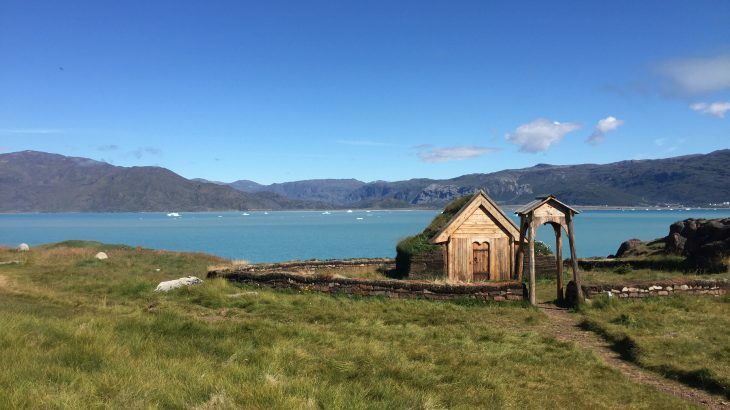 Researchers from Northwestern University reconstructed 3,000 years of southern Greenland’s past climate in the first study of its kind to investigate climate conditions in Greenland when the Vikings settled there between 985 and 1450. The results, published in the journal Geology, show that the Vikings settled in Greenland when temperatures were comparatively mild to the years before and after. Summers at that time would have seen temperatures of around 50 degrees Fahrenheit. Axford, along with Everett Lasher, a Ph.D. candidate, analyzed lake sediment cores from Southern Greenland to determine past climate conditions over 3,000 years. Sediment cores consist of layers of sediment and organic material and analyzing the layers can tell researchers what the climate was like and what kind of wildlife thrived in those conditions. The researchers found preserved chironomids, a species of lake fly, trapped in the layers of sediments. Oxygen isotopes in the exoskeletons of the flies helped the researchers gain a fuller understanding of climate in the region. After analyzing the sediment samples and chironomids, the researchers found that, contrary to popular belief, the Vikings settled in Greenland during a brief warm period. Towards the end of the warm period, temperature fluctuations became so varied that record highs and lows may have driven the Vikings to abandon their settlements. Warmer ocean currents in the area may be the reason for the warming trend, but the researchers can’t say for sure what drove the climate to warm as it did. The team notes that looking to the past and understanding climate fluctuations thousands of years ago could help with future climate projections for Greenland.